The last thing a business owner needs is a delivery being held up. Every second a delivery is late is a waste of time and money. One of the best ways to ensure your products are delivered with ease is with a rail-siding warehouse. Because of the following five key characteristics, a rail siding warehouse has solved delivery problems for countless business owners. The two factors that consistently hold up deliveries are traffic and weather. Having an onsite rail-siding warehouse eliminates both. The rail system is rarely (if ever) held up due to weather problems and is never delayed by traffic. This equates to deliveries coming into your warehouse on time and shipments leaving when they are supposed to. What once was a constant worry becomes something that happens with ease. Satisfied customers report their delivery schedule remaining on time during rain, snow, and road closures. They also report that their workers experience less stress and are able to work better knowing when deliveries will be made. A rail-siding warehouse is on site. This means workers can unload and load deliveries conveniently while utilizing the extra space a warehouse provides. Because a warehouse is bigger than a typical facility, it always stays neat and organized. This eliminates the time spent moving and reorganizing products every time a delivery comes in. Workers don’t have to worry. They simply do their jobs in a shorter period of time. Convenience is also had due to the avoidance of the logistical nightmare that may sometimes be involved with shipping companies. When using a railway, products are loading onto the railcar and shipped directly to your warehouse. There are no unloading and reloading stops at multiple facilities before your products get to you. You can rest easy knowing your products will be delivered safely and on time. The shipment capacity of a delivery truck is 26 tons, which is nearly 75% less than the 100-ton capacity of a rail car. This means more product can be delivered in a shorter period of time and workers no longer need to unload multiple shipments. Additionally, money is saved on fuel costs, driver payments, and vehicle maintenance. When it comes down to it, a rail-siding warehouse increases business and shipping efficiency at maximum levels. A rail-siding warehouse gives business owners the peace of mind of not having to worry about changing facilities or shipping methods when their business begins to grow. As previously mentioned, a warehouse has enough room to fit large amounts of products, and the safe, reliable, and efficient railway system can easily accommodate more product and deliveries. The chances of something happening to your products while on the railway are slim to none. Snow, ice, wind, or rain will neither delay nor damage your products while they are safely tucked away inside a railcar. The added benefit of trains giving off less carbon dioxide means your business has less of a carbon footprint. 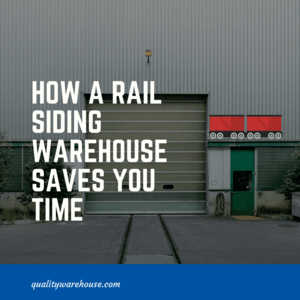 These five key characteristics are strong examples of how a rail-siding warehouse can increase your business efficiency and save you valuable time. 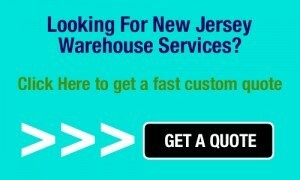 When you’re ready to talk to an expert that can help you, call Quality Warehouse and Distribution at 732-287-5005, ext.14 or email us at [email protected] Our 40 years of combined expertise in public warehousing, freight transportation, rail shipping and receiving, container delivery, and export/import logistics will be put to use to help you find the perfect solution to your shipping problem.